Scarves to use and to wear! 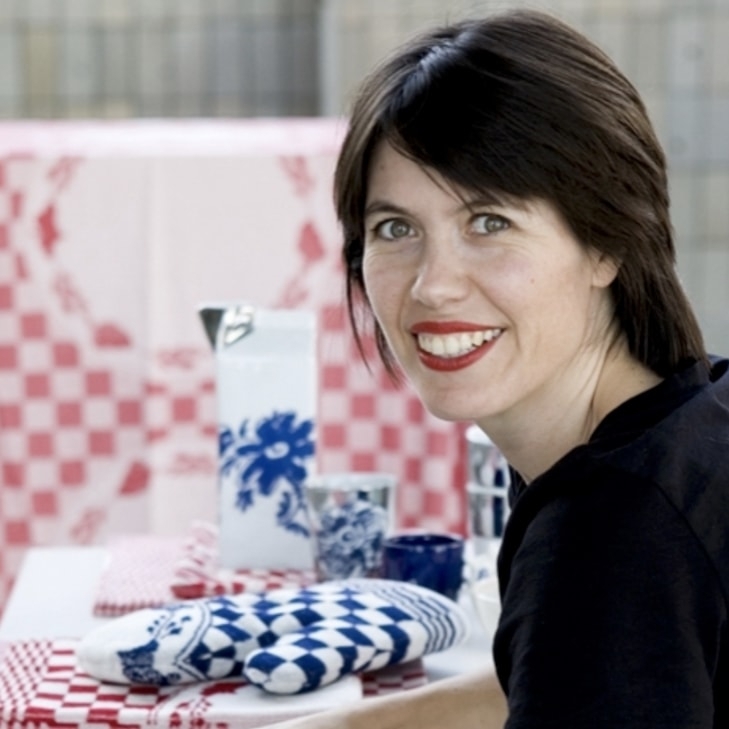 The Dutch visual artist " Mirjam Hagoort and urban designer Marjolein Peters share a common passion. For the project Barents Urban Fabric, they combined their love for the beauty of the city and graphic structures. Barentsz Urban Fabric is an independent fashion brand from Amsterdam. Their scarves allow its wearers the chance to express their pride for the city. The fabrics consist of simple black and white city maps, including districts and larger areas. The supplied set of pins enable you to mark those places that are of special importance to you. This is the famous Amsterdam City scarf, above all, a social project. Your city, your story, your scarf! 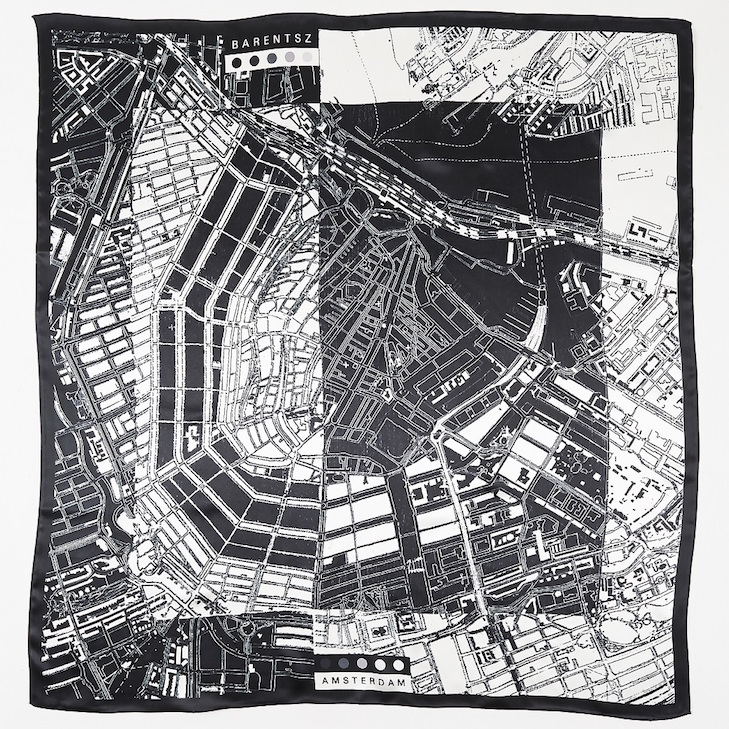 In creating the City scarf, designer duo Marjolein Peters and Mirjam Hagoort were inspired by the map of Amsterdam. 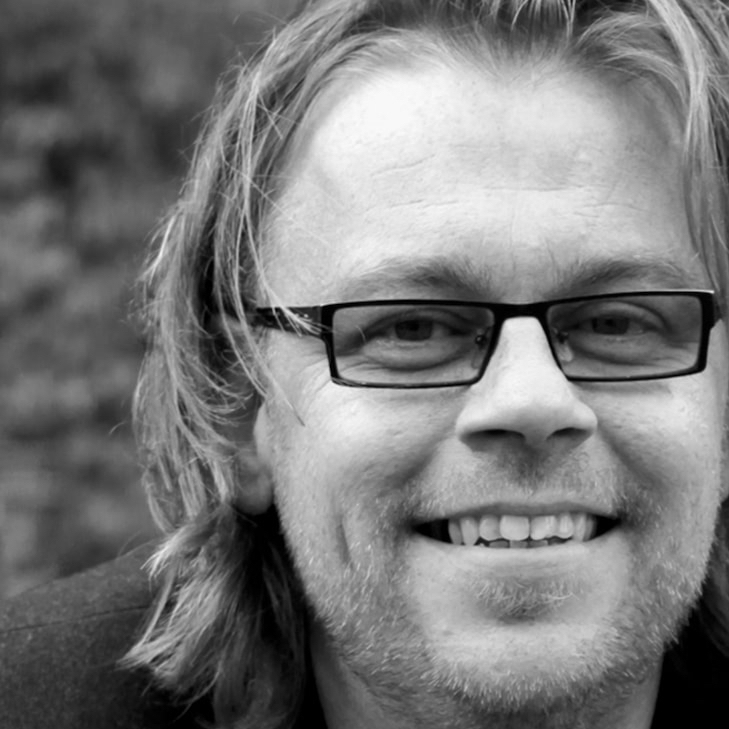 A map is not simply a network of residential streets that can be traveled through. The city is characterized by activities, opportunities, and calm moments. This place, energy and pattern is reflected in the design of Barents Urban Fabric. The combination of the city's or country's geographical contours and the graphic lines of canals, boat connections and shipping routes form a true artistic ensemble. 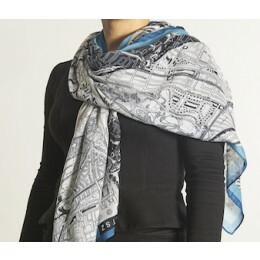 The result is a high-quality designer scarf made of voile cotton and printed with a black and white map and coloured borders. Thanks to the coloured pins you can mark your favourite locations and show the world what you stand for. The City scarf and Holland scarf are both beautiful souvenirs for tourists. 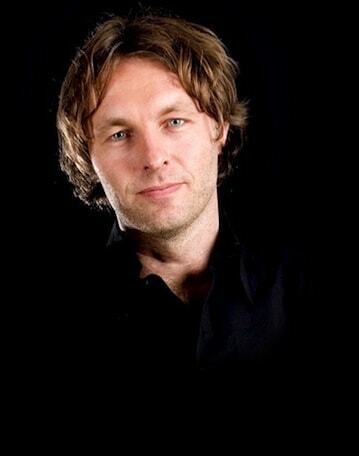 But perhaps they are even more of a statement for a born and bred Dutchman. Mirjam Hagoort en Marjolein Peters delen een passie voor de schoonheid van de stad en grafische structuren. De sjaals met stadsplattegronden en patronen zijn hiervan het resultaat!